A newer site where you can have a great time playing slots games on your Mac is Manhattan Slots. Launched in 2010, this is primarily a slots room that is run by one of the most trusted and experienced online casino groups, Club World Casinos, a World Casino Group. The games here are designed to offer players an experience that is similar to that in a land-based casino. Here you will get to play games that are unique and fun. The online casino is licensed in Antilles, Netherlands, and runs software audited by Technical Systems Testing (TST). 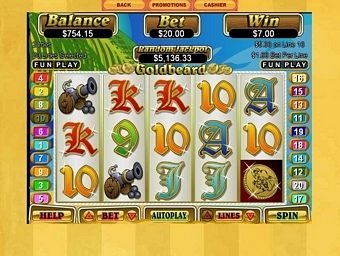 The gaming software employed by Manhattan Slots is designed by Real Time Gaming (RTG). The developer is well-known for providing player-friendly software. The graphics are clean, sharp and colourful. If you are looking for a vibrant and visually appealing casino to play at, Manhattan Slots is the place to head to. The theme featured on this site is an interesting cartoon depiction of a Manhattan shopping block. At this online casino, you can access games through the lobby. There are two ways you can do this – download the client or use the instant play version. 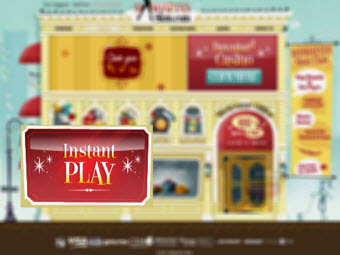 When you download the casino, you will have access to all the games that the site has to offer. Also, the casino will always be available on your system, so you can play the games anytime you want to. On the other hand, with the instant play version, you gain immediate access to some of the most popular games played on the site. The version is apt for players who have constant access to the internet. 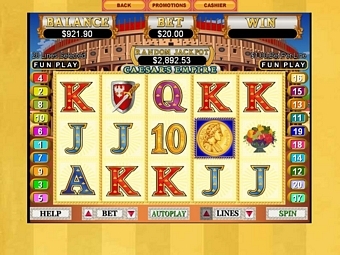 Both versions allow players to play in the fun or cash modes, depending on their preference. Manhattan Slots is one of the few online casino websites that offers over a hundred games. 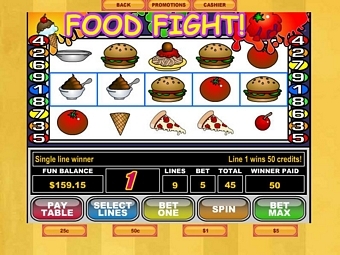 There are five categories of games at this online casino. 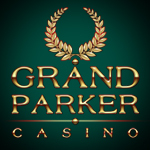 They are – Progressives, Specialty, Video Poker, Table Games and Slots. Some of the progressive games that you can play at this site are The Shark, Aztecs Millions, Mid-Life Crisis, Let’em Ride, Shopping Spree and Jackpot Piñatas. The Specialty games you will have access to at this online casino are Sic Bo, Keno, European Roulette, 5 Diamond Blackjack, Hot Dice and Craps. 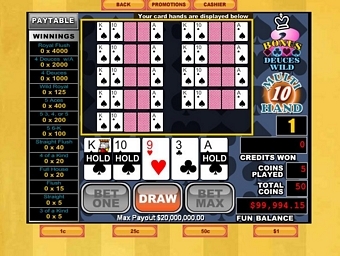 The site has a host of Video Poker games – Jacks or Better, Mystery Bonus, Bonus Poker, 7 Stud, All American and Joker Poker are some. Sevens Wild, Pick’em, Loose Deuces, Aces and Eights and Double Double Bonus are a few others. Players interested in table games can access Pai Gow, Red Dog, Face-Up 21, Pontoon, War, Vegas 3 Card Rummy and Caribbean Hold’em at Manhattan Slots. Choose from the ninety slots games on offer here on the basis of the pay-lines that you want to play – 50, 25, 20 or 9. You can even play slots games for progressives or big bonuses. A few of the most played slots games at the site are Triple Twister, Texas Tycoon, Pharaoh’s Gold, Paradise Dreams and Jazz Time. One of the best aspects about the site is that it provides a description of each game, to make it easy for players to pick the game they want to play. The welcome bonus at Manhattan Slots is designed to reward players with incentives. This is a 100% match bonus that can be availed on the first two deposits that you make at the site. Through this bonus, the site will match a maximum of $747. The same bonus can be availed on card and table games, but the maximum amount the site offers with these games is $150. Another bonus – the Manhattan Slots Mystery Bonus – allows players to pick a mystery box and get a special bonus that will be added to the amount you deposit at the site. Sign-up, and you can get ten such coupons with a value ranging between 70% and 100%. Also, each coupon can be used twice at the site. With these, you can play many scratch cards, keno, and slots games. In addition to these, the site also has a few special promotions. At Manhattan Slots, you get to decide the type of deposit or withdrawal method that suits your funding requirement best. The site has a webpage with a table that features all the deposit options and the minimum and maximum amount that can be transferred through each. It also has details on the time taken for the money to get transferred via each method. Some of the deposit options that the site offers are Clcik2Pay, NETeller, ECO Card, Credit Card, Instadebit and Moneybookers. All these enable instant transfer of money. Using these methods, you can quickly transfer money to your online casino account and start playing slots games immediately. Manhattan Slots pays attention to every detail that can enhance customer satisfaction, one of which is the customer support. Players in the US can call the customer support cell on a toll free number. Those who want immediate assistance for technical difficulties with the games on the site, can use the live chat option here. You also have the option of writing in to Manhattan Slots to communicate your queries with the site.